Let Us Make A Fair All-Cash Offer on Your Fullerton House. Do you have a house in the Fullerton area that needs to sell fast? Are you facing a problem situation with your property that is causing you to feel stressed out and frustrated? If you answered yes to either of these questions, then you have come to the right place. We buy houses in Fullerton CA. We are a local home buying company here in the Orange County area. We buy houses in Fullerton Ca in any condition…and we buy in cash. You no longer have to wait, hoping a buyer will come along. Once we agree on the price and terms to buy your house, consider it sold, case closed. Bypass the whole awkward process of having to show your house to an endless stream of buyers parading through your home looking in your closets and drawers. You will only have to show it once to us. And, we will close on your time frame, so you can move when it’s convenient for you. >>> Compare listing your house with an agent to selling it to us. When it comes time to sell, most homeowners will usually take the traditional route of hiring a real estate agent because they don’t know any other way. Selling your home the traditional way through a real estate agent can take months, even up to a year, if it sells all. It takes a lot of effort and significant expense to fix up a house and list it for sale. If you don’t have the time or the money to fix up your house and you are looking for an easier way, we can help. We are a solutions-based company here in Southern California and we specialize in working with homeowners to help them solve their problem situations. We assist homeowner who are going through many different types of situations like…avoiding or stopping foreclosure, moving to another city, loss of job, divorce, inherited a property they can’t keep, owe more than the house is worth, house needing costly repairs, fire damage, bad tenants and more. Just give us some basic information by filling out the short form below, or if you prefer, call us directly at (818) 392 4845. We will set up a quick appointment to view your house and present you with an offer that you can accept or reject. There’s no obligation. Close escrow in as soon as 10 days or you choose the closing date depending on your timeline. House Sold! Cash in your hand. Timeframe: Once we get your info, we’re usually able to do our free evaluation and make you a fair all-cash offer within 24 hours. From there, we can close as quickly as 10 days… or on your schedule (sometimes we can have a check in your hand the very same day!). What are the options that are available to sell your house and which option is best for you? There are basically three ways to sell your house. You can either 1) List your house with an agent, 2) Sell your house yourself or, 3) Sell your house to a cash buyer like Solution Home Buyers. Which method is best for you really depends on a combination of how much Time, Money and Effort you have to spend. Let’s take a closer look at these. TIME. What is your time frame to sell your house? If you need a fast sale, then listing with an agent or selling the house yourself is probably not for you. This option can take the most amount of time. Sometimes your house can sit on the market for months to a year waiting for an offer. MONEY. Many homeowners think by selling their property the traditional way to a retail buyer, that they will make the most money but that isn’t always true. When you add up all the costs like 6% agent commissions, 2% escrow fees, holding expenses while house sits on the market and repairs that the buyer will demand after inspection, you might end up with less cash in your pocket than selling to an all cash buyer. EFFORT. How much time and effort can you spend on selling your home? You must prepare and clean the house, make necessary repairs, find a trustworthy agent, show the house to endless stream of buyers, go through the ups and downs of escrow…hoping that your buyer gets loan approval and doesn’t back out at the last minute. 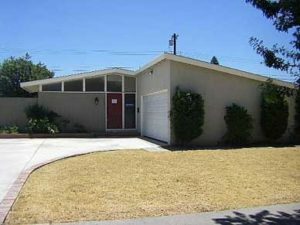 We buy houses in Fullerton CA, just like this on W Woodcrest Ave. Get a Fair Cash Offer in 24 hours. No Fees or Commissions! TIME. If you need a fast, hassle-free sale, then selling to a cash buyer like us is the quickest way to sell your house. We can make you an offer in 24 hours and have a check in your hand in as little as 10 days. MONEY. You won’t pay any closing costs, fees or commissions. Even though a cash buyer can’t offer a retail price, when you add up all the costs when selling to a retail buyer, many times you might end up with more money in your pocket. EFFORT. Selling your house to a cash buyer requires the least amount of effort. A cash buyer will buy your house As-Is which means you won’t need to clean or fix anything. No matter the condition of your house – your situation – or time frame…our goal is to make your life easier and help you get out from under that property that’s stressing you out… while still paying a fast, fair, and honest AS-IS price for your Fullerton home. Tell us about your home and we’ll get you our top purchase price within 24-hours. We help property owners just like you, in all kinds of situations. From divorce, foreclosure, death of a family member, burdensome rental property, and all kinds of other situations. We buy houses in Fullerton CA and throughout the Orange County area. Sometimes, those who own property simply have lives that are too busy to take the time to do all of things that typically need to be done to prepare a house to sell on the market… if that describes you, just let us know about the property you’d like to be rid of so you can sell your house fast in Fullerton CA. If you prefer to talk to someone in our office before submitting your property information, just give us a call today at (818) 392-4845. Fullerton was founded in 1887. It secured the land on behalf of the Atchison, Topeka and Santa Fe Railway. Historically it was a center of agriculture, notably groves of Valencia oranges and other citrus crops; petroleum extraction; transportation; and manufacturing. It is home to numerous higher educational institutions, particularly California State University, Fullerton and Fullerton College. From the mid-1940s through the late 1990s, Fullerton was home to a large industrial base made up of aerospace contractors, canneries, paper products manufacturers, and is considered to be the birthplace of the electric guitar, due in a large part to Leo Fender. The headquarters of Vons, which is owned by Albertsons, is located in Fullerton near the Fullerton-Anaheim line. The first years of the 21st century have seen several political issues played out against a backdrop of class division (between the more affluent northern and western parts of the city and the southern portion of the city, which borders Anaheim), rapidly diminishing supplies of undeveloped land, and demographic changes (including the influx of Asian and Latino immigrants into an area previously dominated by Caucasian Americans). As in many cities, growth and development are contentious issues. In the 1990s, the downtown commercial district had become economically depressed, and was known mainly for being an area of sleepy antique stores and small shops. A symbol of downtown’s problems was the Fox Theatre, a local landmark, which had fallen into disrepair. As of November 2004, a fundraising drive had accumulated sufficient funds to buy the theater, but not yet enough money to restore it. By 2006, restoration was started. During this same period, the downtown area (a.k.a. DTF), especially south of Commonwealth Avenue (a.k.a. SOCO), has become more of a busy entertainment district, described by the OC Weekly as “Bourbon Street West.” In less than five years, some 30 businesses that sell alcohol have opened, making the downtown area much more active at night. Ranging from a mixture of Mexican cantinas and Asian bars to Jazz, local venues and music stores, with the festive atmosphere have come problems such as public drunkenness, fights and a shortage of parking. In 2008, City Manager Chris Meyer called together department head and the finance department and reported to the city council that the Restaurant Overlay District (established December 2002)was costing the city $935,000 over and above the sales taxes collected. Then four officers were hired for downtown, bringing the costs to $1,600,000 a year. The ROD had abolished condition use; a new ordinance to establish restrictions was drafted and adopted by the city council in 2008. a police task force last year has addressed some of these problems. We buy houses in Fullerton CA 92831, 92832, 92833, 92835 and across Southern California. If you need to sell your house fast in Fullerton CA, connect with us… we’d love to make you a fair no-obligation no-hassle offer. Take it or leave it. You’ve got nothing to lose.